When it comes to maintaining the performance of your Chrysler, it's important to stay up-to-date on your routine auto service, especially oil changes. At West Motor Company Inc, we recommend changing your car's oil at least twice per year. Why? Because when your oil gets dirty, it can no longer properly lubricate the parts in your engine and maintain its optimum performance. When this happens, engine damage can occur and lead to expensive auto service payments. Take preventative steps by scheduling your Chrysler's oil change at West Motor Company Inc near Logan, Utah today. At West Motor Company Inc, our auto service center is dedicated to keeping your Chrysler performing at its best so you can stay safe driving on the road. Our trained technicians go above and beyond to ensure the safety of your vehicle, including using Mopar parts and accessories. With our Mopar Express Lane at 296 North State Street, Preston, ID, you can get an oil change without missing a beat in your daily schedule. When you need more extensive auto maintenance performed on your car, utilize our convenient drop-off and shuttle service, or enjoy our complimentary WiFi while you wait. Call us today to learn more about our current auto service specials. 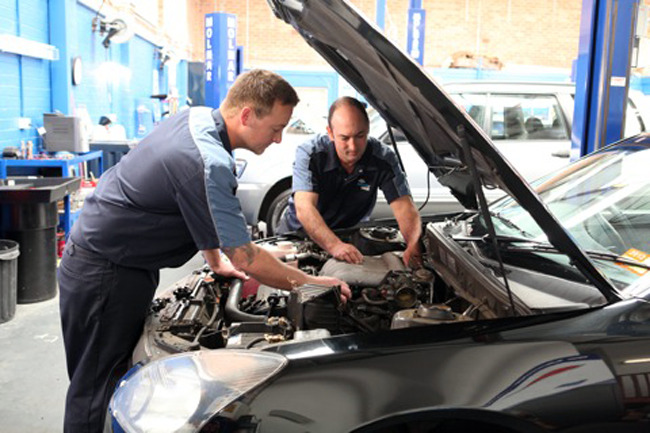 Whether you need to schedule your Chrysler's routine oil change, or you've experienced unexpected engine trouble that needs to be addressed, the technicians at West Motor Company Inc have you covered. We provide drivers near Logan, UT with everything from oil changes, tire rotations, fluid checks, and battery replacements, to total engine repair. When you bring your vehicle to our auto service center, you can trust your car will receive the proper care and attention it deserves. Visit us today to schedule your car's next service appointment!